Prado Cafe is a coffee shop located on Commercial Drive. 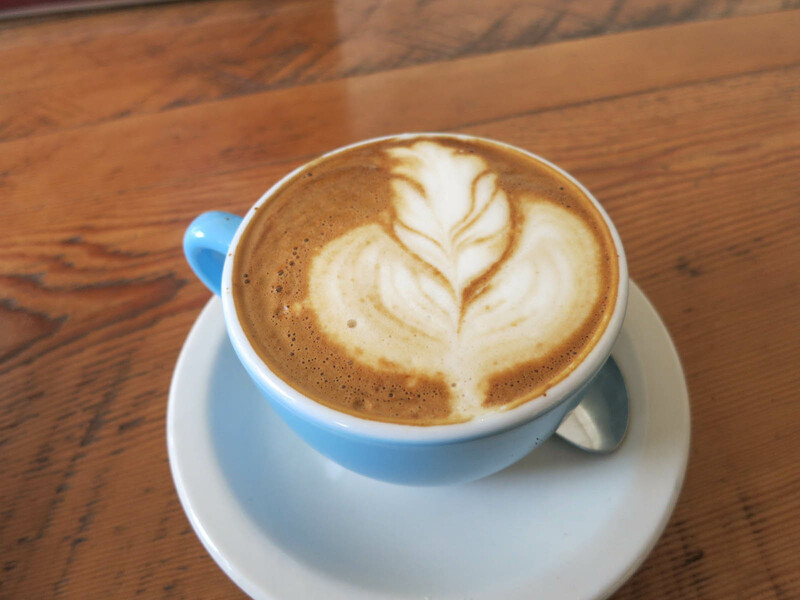 The cafe is well-known around Vancouver because it is managed by Sammy Piccolo, a barista who has won multiple world-wide barista competitions. On my visit, I had a soy cappuccino, which is a drink I always lean towards when trying out a new coffee place. The coffee was well made with smooth and not excessively bubbly milk foam. They passed my cappuccino test, so I was a happy girl. The coffee here is good and worth checking out, however, I have an issue with seating here. Every time I have gone here it is packed full of people. I know it is unfair to criticize a place for being popular, but I have walked in and left because there were no seats available. People come here and sit on their laptops for hours and they won’t budge. So just be warned, you may have a hard time finding a spot if you come here. Yes, for good coffee on Commercial Drive. Thank you Amy for writing such an honest review on Prado Cafe! The cappuccino looks delicious! We were wondering if you have ever tried any of the food there and how it was? Thanks for the kind words! I haven’t tried any food there, but hopefully I will get the chance if I visit again.